I recently became a stylist for Stella and Dot Jewelry. Its a great little company, a fabulous line of jewelry and perfect for brides. 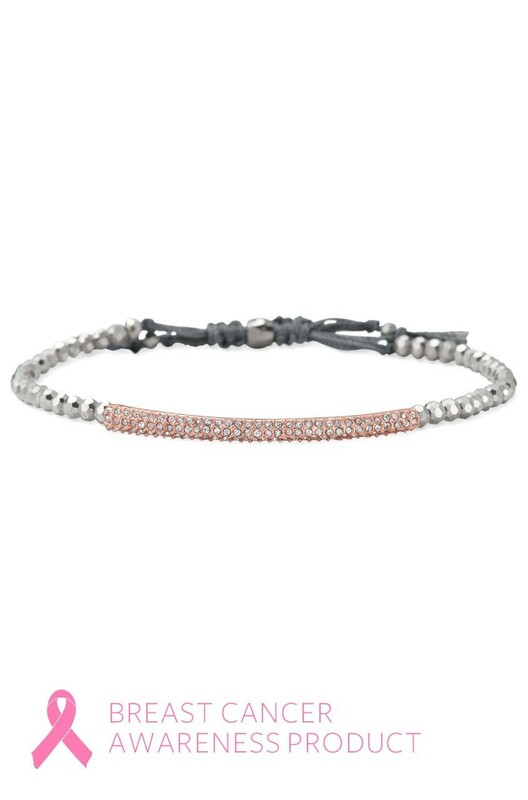 In October they are selling a Tribute Bracelet and 20% of the sales of this bracelet are going toward The Breast Cancer Research Foundation. 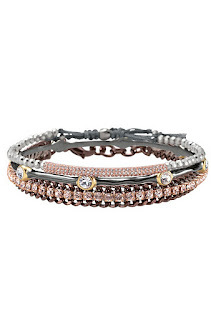 Jessica from The Budget Savvy Bride is participating in a 100 Bracelet Challenge! I love this idea so I am going to "borrow" the idea from Jessica. My goal is to sell 100 Tribute Bracelets! When I reach that goal, $720 will be donated to the Breast Cancer Research Foundation from Stella & Dot. I’m pledging another $280 myself in order to reach $1k total in donations. 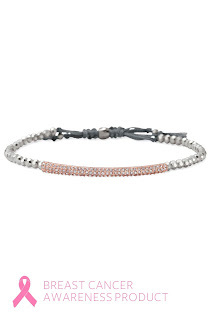 Buy a tribute bracelet (or two) on my website. When prompted, choose “Breast Cancer Awareness” as your hostess. Wear one or Gift one as you feel is appropriate. For every bracelet that you purchase you will receive one chance to win all hostess rewards for this special October event!! Look it even layers well!! !